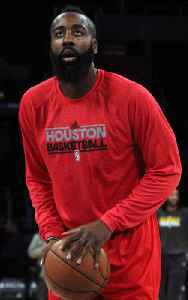 James Edward Harden Jr. is an American professional basketball player for the Houston Rockets of the National Basketball Association (NBA). He played college basketball for Arizona State, where he was named a consensus All-American and Pac-10 Player of the Year in 2009. Harden was selected with the third overall pick in the 2009 NBA draft by the Oklahoma City Thunder. In 2012, he was named NBA Sixth Man of the Year with the Thunder and helped the team reach the NBA Finals, where they lost to the Miami Heat in five games. 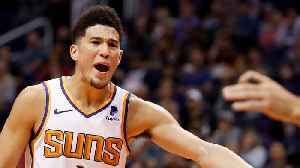 James Harden overcome a horrible shooting performance and scored 14 of his 22 points in the fourth quarter, leading the Houston Rockets to a 104-101 win over the Utah Jazz for a commanding 3-0 lead in..
Devin Booker from the Phoenix Suns has been on a roll, scoring a total of 109 points in the past two games. 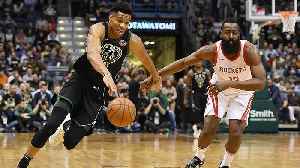 He has made 60 percent of his shots with 10 of 34 in his first game and 19 of 29 in his..
James Harden and Giannis Antetokounmpo are neck-and-neck in one the tightest MVP races the NBA has ever had. With both players putting up monster numbers, which one really deserves the award? 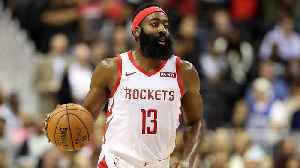 James Harden's 30-point streak may be over, but last year's MVP showed on Thursday night just how dangerous he can be with a 58-point explosion against the Heat. SI Now's Robin Lundberg and Ryan..